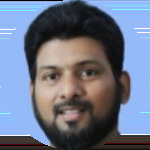 About Me: This is Sabihuddin Ahmed Siddiqui from Pakistan. I have done Masters in Computer Science and have been serving as a Teacher for Computer Science for around 18 years, teaching O/AS/A Level. Apart from this I have been an Instructor at Aptech Computer Education for Java, Python, C#, SQL, & VB. Net. Contact No: +92 3002730073. Email Id: suas2008hm@hotmail.com. Skype: suas2010. Offers expertise established in Application Development and IT operations, defining technical strategies that support overall business objectives. Supports to develop and market technical solutions to both internal and external clients. Oversees team development and vendor selection/maintenance for trouble free operations. Setup/configure to provide exceptional user support and resolve critical operational issues. Creating and implementing training that expands team member capabilities and instructs users on system utilization/improvement. To Develop and felicitate the change in Imparting Education of Computer Sciences with Application Development. · Student Zone Coaching Center: Computer Science for Aga Khan Board. · Bay View High School: Teacher for O’ Level, 1.6-Years. Trained Teachers at Beaconhouse School System for using Edmodo. · Operating Systems: Red Hat Linux 9.0, Ubuntu, Windows XP/7/8. · Tools & Technologies: PDF-Designer, Authorware, Autocad, Visio Technical, Smartdraw, JSP, ASP, HTML & CSS. · Networking: Windows (Client/Server) & CISCO. Project (Coursework) Development Standards conducted by CIE 2010.